This is the ultimate gift for lovers of beautiful collectibles to the most serious stamp collector - and everyone in between. This leather-bound hardback book is a limited edition of just 160 individually numbered copies and contains every special Stamp from 2018 in mint condition. 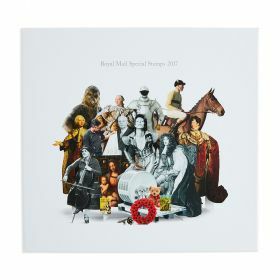 2018 Year Book – Individually numbered,strictly limited edition of just 160 copies. A high-quality, leather-bound hardback book packed with facts and illustrations about each of the Stamp issues of 2018.